Skincare Sundays: A skincare regimen for women, men and children alike, the Rodan + Fields Soothe Regimen. Today, I want to utlize the chance I have on Skincare Sunday to briefly go over the amazing regimen known as Soothe. Rodan & Fields Soothe is probably one of the most flexible lines available. 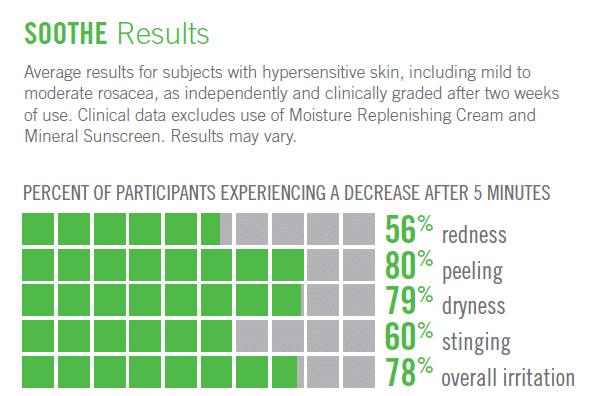 Soothe is a multi-med therapy for sensitive skin and calms visible redness. 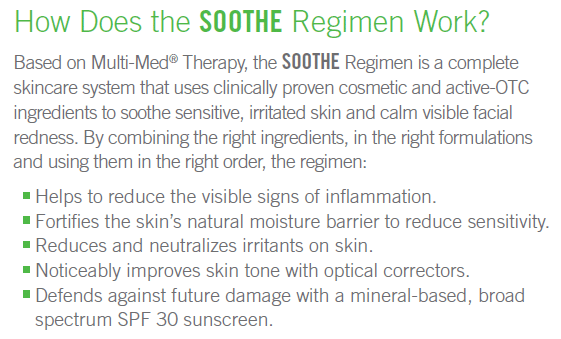 The Soothe Regimen is a 4 step line that’s clinically proven to reduce redness in as little a five minutes. It contains a patented RFP3 technology to literally block the inflammation process. 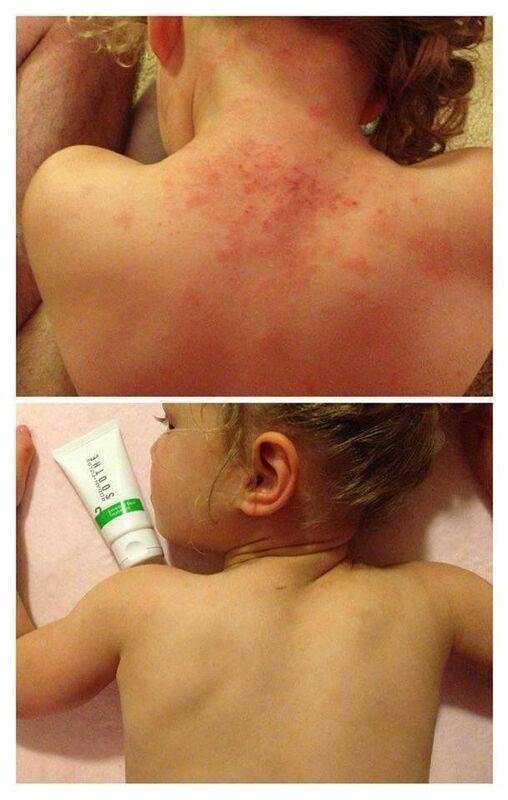 Soothe is also used to calm a sunburn, psoriasis, mild to moderate rosacea, and even eczema. Rodan and Fields Soothe Regimen is mild enough to treat skin conditions for children. 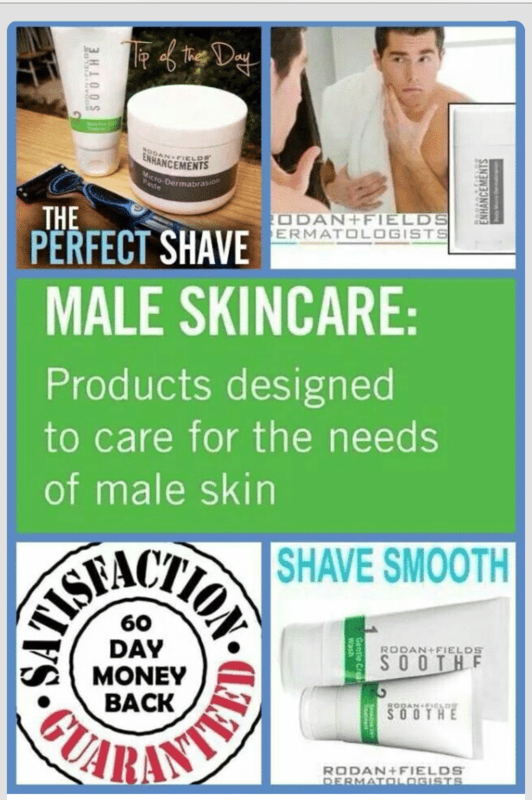 Men can use Rodan + Fields too! Another common use of the Soothe line is as part of the male shaving routine. Using Soothe as part of your shaving routine, combined with microdermabrasion paste can eliminate those annoying bumps and minor skin irritations that occur due to shaving. 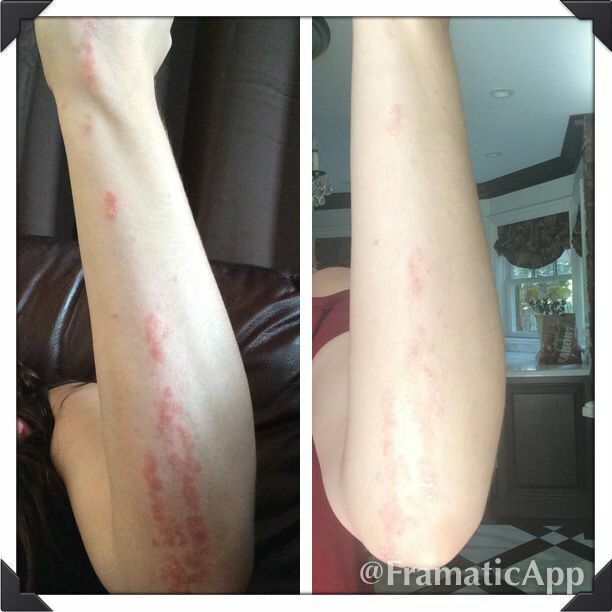 Soothe’s amazing results are just that… Amazing! 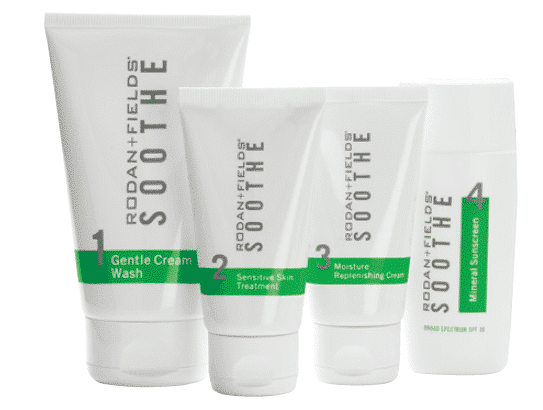 Are you ready to try Rodan + Fields Soothe Regimen to soothe away your sensitive skin? Contact me for more information. P.S. Don’t forget about our giveaway of a mini-facial and lip serum. Deadline to enter is November 2, 2014 at 11:59 PM PDT.